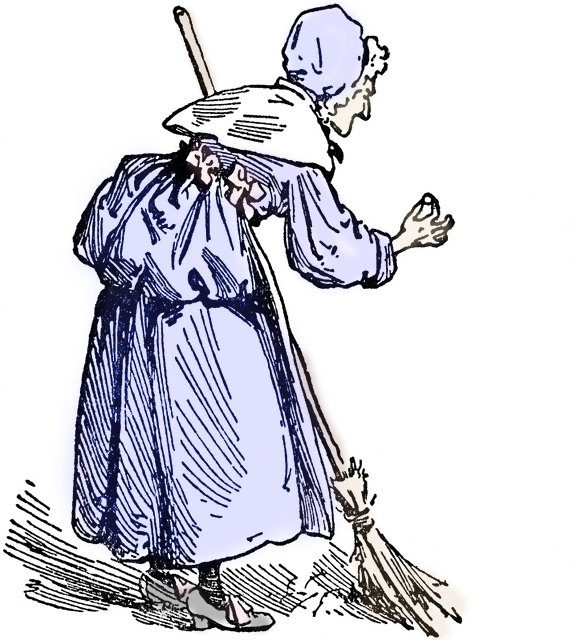 Barefoot Witchery Shoppe is pleased to offer our newest creation, our Blessed Herbal Floor Sweep! Spiritual cleansing, or Hoodoo Housecleaning, as I like to call it, is very important. Why? Because sometimes negative energy builds up, and we need to give our home a thorough spiritual cleansing. Negative energy (even hexes, curses, and ill-intent sent to us from another) can make the atmosphere in your home (as well as those who live there) feel bogged down, like a dark cloud is over you. Sometimes it can just be residual energy from an unwanted visitor or someone who has brought their drama to your doorstep. This can lead to bad luck in many aspects of your life and block the flow of blessings and positive energy. If ever in doubt of how to fix your problems, start with a thorough spiritual cleansing of yourself and then your home. When you feel like everything is going wrong, or there’s one problem after another, or just a general disturbance in the atmosphere in your home, this is what you need to do. Those negative vibes can even fester all on their own and create even more problems that weren’t there before, causing a chain reaction of unfortunate events or series of circumstances. And then pretty soon, you won’t even want to be home anymore. Your home is your sacred space. Don’t let it get taken away from you or the negative energy drive you away. Take control of it.This is my own blend of floor sweep, for the purpose of spiritually cleansing and blessing your home. I use it myself at least once or twice a month. It can be used as often as you want or need, just go with your intuition. It is crafted specifically with ingredients that are used for the purposes of clearing away negative energy, promoting positive energy and feelings within the home, as well as a peaceful atmosphere and peace between those who reside in the home. Additionally, it helps to promote love, better communication, provide protection, as well as make the home a place that people feel welcome, safe, and at peace. You may find that you, as well as others, want to stay in your home more after using this floor sweep. 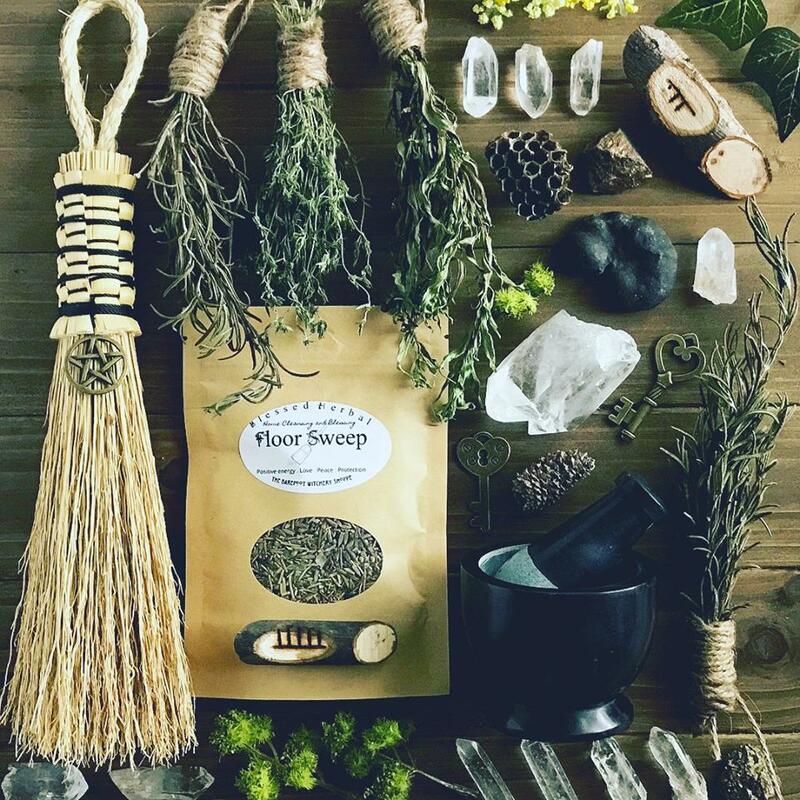 Our floor sweep is multi-purpose, and can be used for drawing positive energy and blessings into your home, as well as banishing negative energy and unwanted influences. 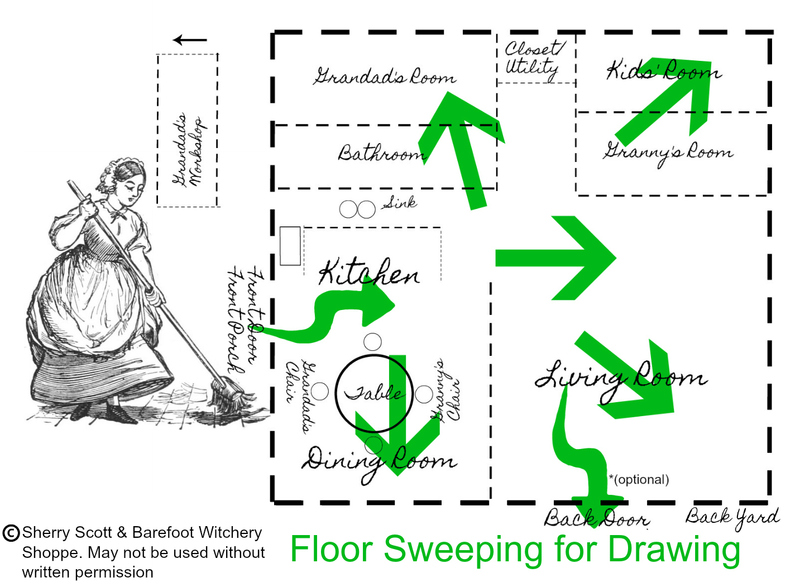 Most floor sweeps on the market are just for one or the other, or for one specific purpose like drawing money, tranquility, or banishing an unwanted influence or person. Some floor sweeps on the market contain fillers. Our ingredients are 100% natural and there are no unnecessary ingredients such as fillers (such as commercial/industrial floor sweep base (which is often oil or wax based), sawdust, etc. 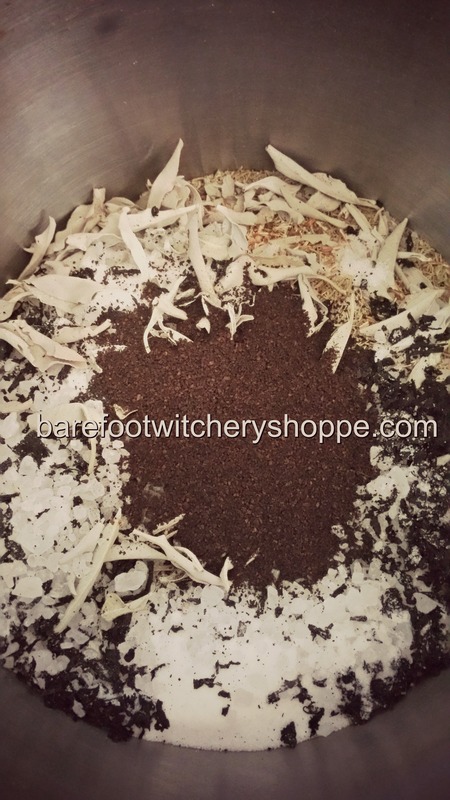 )Floor sweeps don’t need a carrier (such as cornstarch) like some Hoodoo powders do, or like Hoodoo oils need a carrier or base (oil).So, every ingredient in our Blessed Herbal Floor Sweep serves a purpose. I’m going to share with you the main components (if not the proportions) that make up my own recipe that I created to use in my own home. Most practitioners are very secretive about their formulas, and I’m no exception. However, I think it is beneficial to explain what makes this floor sweep so special and why I chose these specific ingredients. 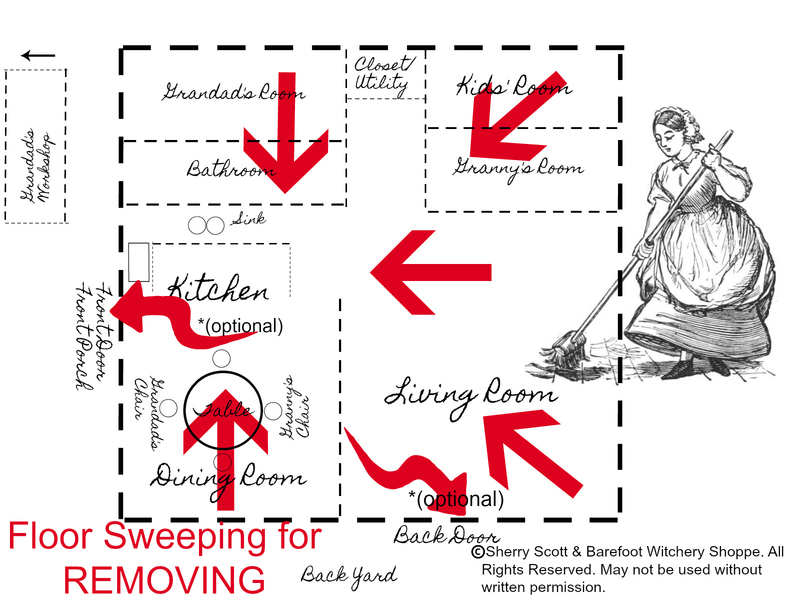 In the old days, when floor sweeping was a more common practice than it is now, folks would use the ingredients they had on hand already.There’s a lot of Hoodoo that can be made right in your kitchen cabinets. Simple, yet effective. Rosemary: Binds things, or people, together in a loving, gentle manner. Also used for purification, protection. Also used for improved memory and mental alertness and aids in clear thinking. It is also for strengthening a woman’s dominance in the household in regards to domestic matters. Basically, for help keeping control of things in your house. If your household does not have a lady of the house, that is OK, by the way. It’s for you to keep in charge of your own domain. Lavender: For a peaceful home, Love, Prosperity, For helping marriage issues, fidelity. Protection, healing, sleep, purification, harmony. St. John’s Wort: Ultimate emergency protection herb. Protects against dark magick. Also for banishing, blessing, alleviating depression & sorrow. Strengthens the courage and convictions when confronting problems. Also helps with divination. Hyssop: For purification and cleansing. Hyssop is referred to in the Bible as a cleansing herb. It is also said to protect property against burglars and trespassers. Is good for home cleansing and putting an end to crossed conditions and jinxes. Repels negativity and evil. White Sage: For removing negative energy, self-purification and cleansing. Is also said to help with wishes, and promotes health and longevity. Dead Sea Salt: Salt is used for many magickal purposes, mainly for cleansing away negative energy, jinxes, crossed conditions, and for protection from all evil or negative energy. Raw Cane Sugar: For sweetening the atmosphere and those who inhabit your home. Promotes gentleness, forgiveness, and sweet dispositions towards one another. For example, some practitioners will use sugar with a photo of a person in a bowl to sweeten that person to them. It works similar to a Honey Jar working. Coffee with Chickory: Coffee has many uses in Hoodoo. Sometimes the grounds are read like tea leaves. But in most case, coffee is used for energy and speed in Hoodoo workings. 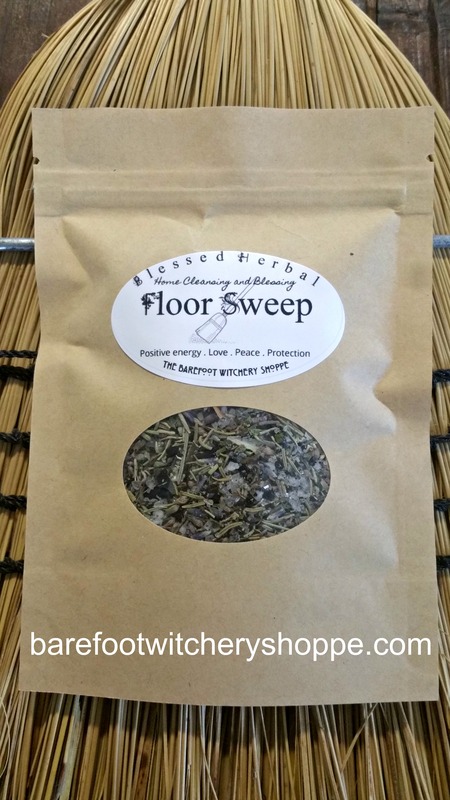 When used in a floor sweep, it is for not only clearing up problems within the household, removing any negative energy causing a disturbance, imbalance, or blockage, as well as clearing away jinxes/curses. And to also do these things quickly, as well as speedy manifestation of blessings. It is also used in uncrossing baths. Coffee also helps rid of negative thoughts and internal blockages. Helps with peace of mind and grounding. In regards to the chickory, why chickory? Well, in the south, chickory was added to coffee in the old days, and it continues to be a tradition. And a quite delicious one, which you already know if you've ever had coffee at a café in New Orleans. 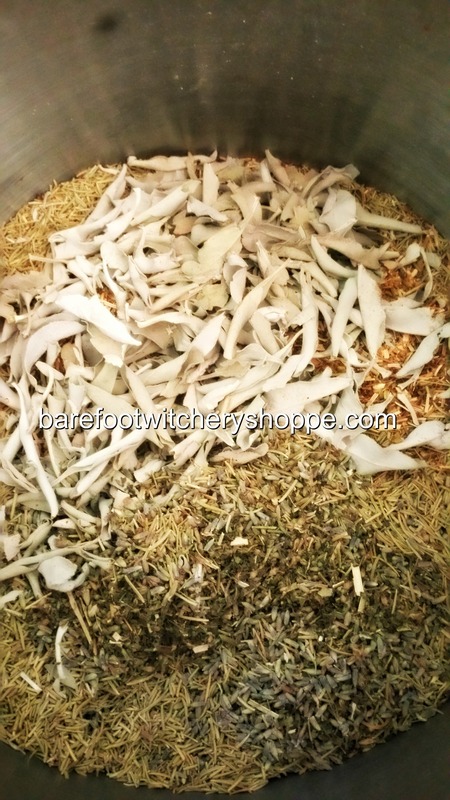 Chickory root has its own purposes as well: Removing obstacles, promotes a positive outlook and improves humors. It is also often used to obtain favors from others. Now that you understand what makes our Blessed Herbal Floor Sweep so special, you’re probably wondering how to use it.I’m going to help you with that. Many practitioners may have differing methods, but here is the way I do it. For this, I’m going to use the layout of my Granny’s house as an example, as I did before in my Dishwater Divination blog post. There is much more to spiritual housecleaning than floor sweeping, but right now we’re only going to talk about floor sweeping.Some call floor sweep “dusting”. And that’s fine, just another word for it. Some folks used to use baking soda in their floor sweeps, so when they sprinkled it on their floors, it was more of a “dusting”. First, I always make sure that my house is otherwise clean. In other words, I’ve already done the “mundane” housecleaning as usual. It’s your personal preference and option. Some people like to let it set for a little while, maybe even overnight. But you don’t have to. It’s just a matter of personal preference. For me, I have dogs, so I don’t want them eating it. I sweep in the same pattern that I sprinkled the floor sweep. From the back of the house, to the front of the house. And then out the door. Now, there are some personal preferences you’re going to have to figure out on your own. Some folks say they sweep it out the front door. Some say the back door when you’re removing negative energy. Some say to throw the floor sweep in a certain direction and don’t look back. My personal preference is to sweep it up in the dust pan and throw it in the trash and then take it out to the trash can on the curb immediately. I don’t want the negative energy that was swept up to stay in the house, or in the front or back yard. And I don’t want to flush it down the toilet, causing it sit in my septic tank either, which could cause negative energy to fester where it is buried in my yard, or to cause plumbing problems.There is always room for practicality in Hoodoo. Now that we’ve removed the negative energy, we want to replace it with positive energy. For drawing positive energy and blessings into your home, you’ll want to start at the front of the house. Working your way all the way to the back of the house. Some people like to sweep it out the back door, and that is fine. I don’t have a problem sweeping out floor sweep that was used for blessings into my back yard. Some like to leave it a while, or sweep it into a pile and let it sit there. It’s up to you. The basics are: For Removing, go from back to front. For Drawing, go from front to back. But don't get too "swept away" in the details. The important thing is this: Sweep with intent, determination, concentration, visualization, and faith. Do you need to have a separate broom, separate mop, dustpan, bucket, etc., than you use for normal mundane chores? That's your choice. For me YES to the broom!!! I'm not so worried about the other stuff. Any witch worth her salt has a special broom. Not for flying, no. It doesn't have to be one of those fancy ceremonial brooms either. Just a broom that is dedicated for special purposes. Hoodoo and Wiccan (and other) traditions may very quite a bit, but a broom is still a big deal for any witch, practitioner, whatever you may wish to refer to yourself as. You've got to get a special broom. Mine is from a hardware store and cost about $10 and has natural bristles. (I don't like synthetic bristles when I'm performing a spiritual task.) And I don't like for anyone else to touch my broom. 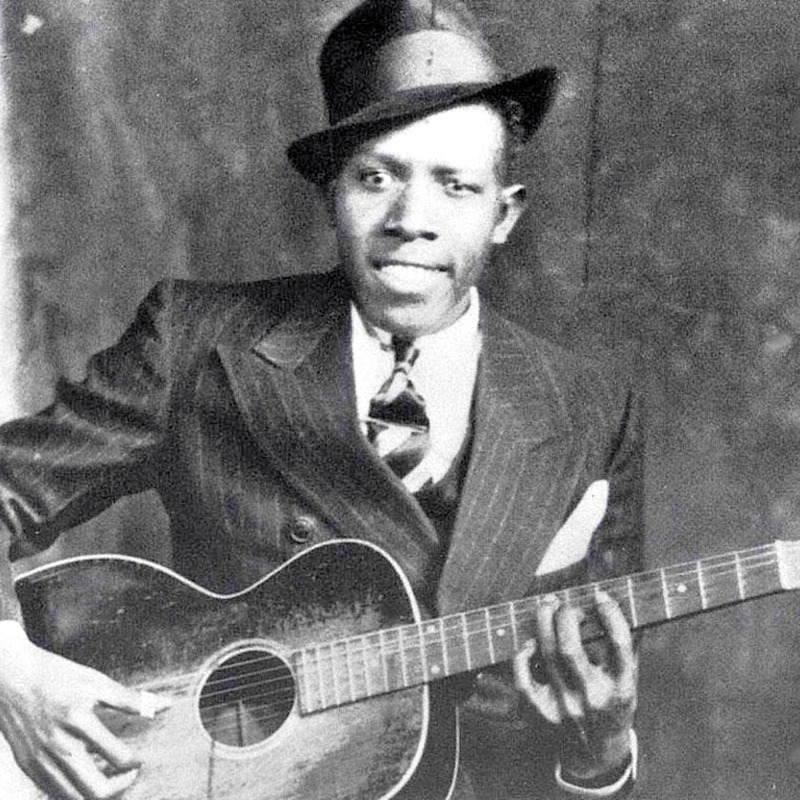 But necessity is the mother of invention, so if you must, using what you've already got on hand is fine. That is the key. Your intent is much more important than getting hung up on the details. Hoodoo is all about using what you already have on hand. How often do you need to sweep? I personally do every week to two weeks. Some like to do it once a month. I would say do it at least once a month and don't let it go any longer. Does this need to be done in secret, or when no one else is at home? For me, yes. It just works out that way for me, and I'm home alone during the day while my husband is at work. Not that he's opposed to Hoodoo; he's a very open-minded muggle. I just don't like anyone messing with the energy in the house (TV, radio, etc.) while I'm "working". And by working, I mean spiritually cleansing. I like to focus on the task at hand and give it the attention it deserves. But if your situation requires, such as if you don't get a chance to be alone at home without other people around, you can absolutely do this in secrecy. It doesn't take much floor sweep, and you can do it a room at a time if needs must. And you don't have to pray or recite verses out loud. So, what if you don’t have wood, ceramic, or linoleum on your floors? Yes, you can vacuum it up. I have a bagless vacuum cleaner, and I tried it, and it works fine. Can you use it as a floor wash (in mop water)?Yes, absolutely. I’ve done that too, and it works wonderful. Now for Removing, what I do is dump the mop bucket in the ditch, outside my fence. I realize that legally, some of you might not be able to do that. I live in the country, but I know that there are city laws regarding everything. So, you might want to consider flushing it if you have a sewer system rather than a septic tank, or dumping the water somewhere else (not on your property), where you can legally do so. Got a big area rug in the middle of your hardwood floor and don't want to lug out the vacuum cleaner? You can dip your broom tips into the water and use the broom on your area rug. Additionally, this formula can also be used in a spray bottle in an infusion of water. This way you can spray dark corners where negative energy likes to lurk, or your walls or furniture. I do want to add a caution, however. This formula does obviously have ingredients that will likely stain light colored fabrics or surfaces when mixed with water. Also, please keep this floor sweep out of the reach of children and pets. Not that the ingredients are known to be harmful, but this formula is not intended for ingestion. There is so much more to Hoodoo Housecleaning, so stay tuned for my future blog posts. Be blessed and be well! (C) Sherry Scott & Barefoot Witchery Shoppe. No part of this blog post may be copied or used for any purposes without written consent. Photo courtesy of Sabbat Box.